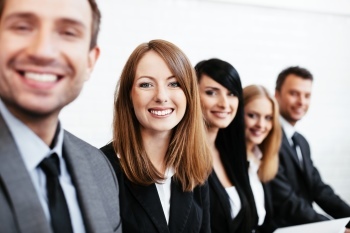 Which Executive Recruitment Agency is Right for Your Job Search? As an experienced executive, you’ve earned your way through the ranks by demonstrating your skills and your ability to get quantifiable results for your employer. 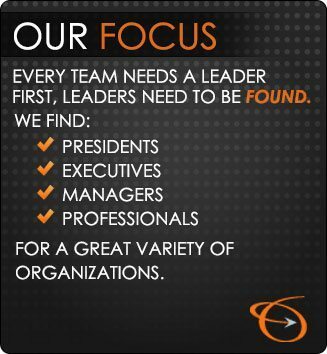 You are a valuable asset and you need to begin searching for a new executive position with that fact in mind. When it comes to choosing an executive recruitment agency to help with your search, it’s important to keep that perspective in mind; you’re choosing a recruiter who will understand your worth and actively market you to appropriate companies. Don’t settle for less. It’s helpful to understand a little bit about how recruitment agencies work in general before choosing a specific agency to work with in your own search. Companies hire recruitment agencies to fill positions they have open, and there are two primary ways they do this: Contingency contracts and retainers. Contingency contracts are appropriate for situations where the company wants to see a higher volume of resumes for an entry- or mid-level position. Often, a company will put several recruitment agencies on a contingency contract, and they’ll compete to fill positions, so these recruiters work by stockpiling resumes and sending as many of them as are applicable for each open position; they only get paid if they provide the candidate who gets hired. For more specialized positions, including executives, smart companies will hire recruiting specialists like an executive recruitment firm, and that firm will be the exclusive source of candidates for that position. The recruiting firm is paid up front to begin the search and in installments throughout the search and placement process, so their goal is to provide the hiring company with a (very) short list of ideal-match candidates for that specific position. Good executive recruitment agencies tend to build close relationships with their client companies, which puts them in a strong position to actively market candidates to those clients, even when there is no outstanding order for that candidate’s position. Any recruiter can call himself an executive recruiter, so it’s up to you to ask questions and choose a recruiter who will give you the best advantages in your search. You need to be working with someone who specializes in executive recruitment, has experience in actively marketing executive talent, and has well-established working relationships with hiring companies. When your first talk to a recruiter, keep in mind that you are interviewing him as he is interviewing you, and don’t be afraid to ask pointed questions like whether they’re working on retainer or on contingency for the position(s) you’re talking to them about. Ask about their experience and professional training, and ask whether they actively market their candidates, or if they only work on filling open orders. Be sure the recruiter understands the specifics of your field and position. If you’re not satisfied with the answers, move along until you find a recruiter with the experience to represent and market your talent to your best advantage. Another point to ask about is whether the executive recruitment agency you’re considering is part of a network of recruiters or offices. In many cases, executive searches extend regionally or nationally, so the greater your recruiter’s reach, the more opportunities you’ll have to find the perfect position. The process of selecting a recruitment agency is an essential component to your job search, since the right agency will open the door to new opportunities and get you the best possible position in the workforce to further your career. As one of the top executive recruitment agencies Milwaukee offers, Lawler Group focuses on placing employees into thriving companies that offer horizontal and vertical career moves, providing not only attractive salaries, but desirable work environments and opportunities to learn and grow in the industry. Contact us to learn more about how we can help you with your job search!